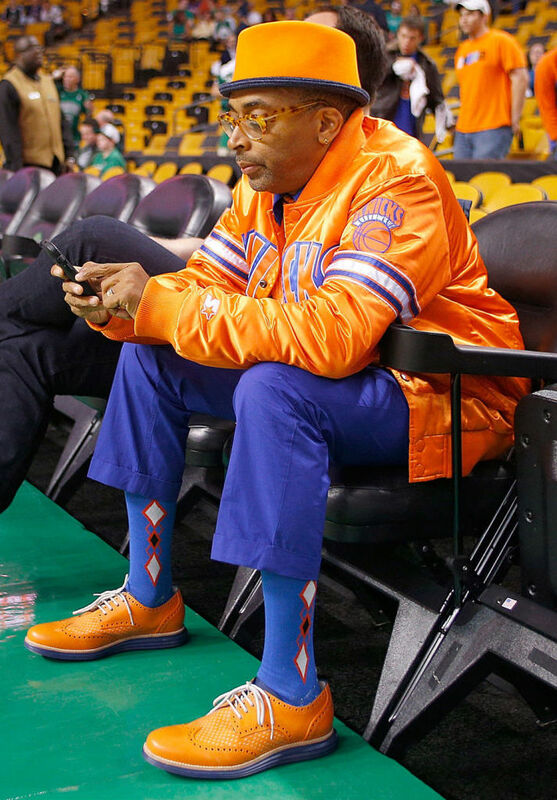 A closer look at the custom shoes Spike has been wearing during the playoffs. 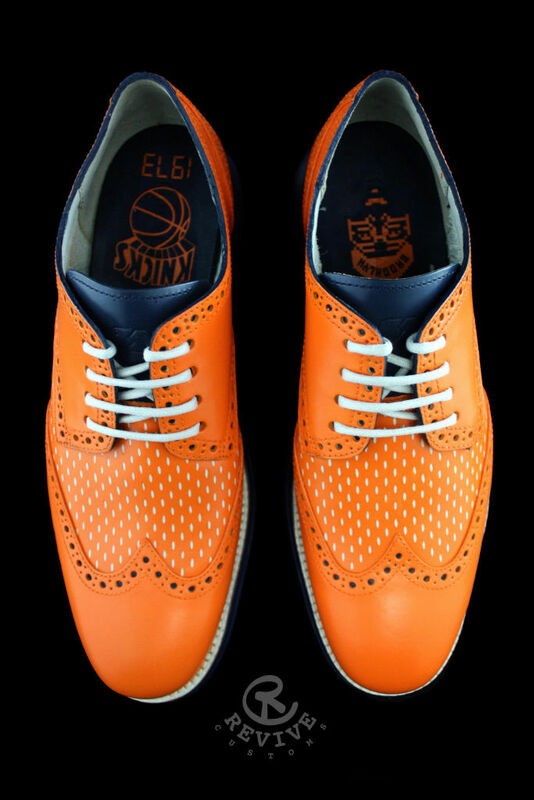 It's hard to miss Spike Lee in his usual courtside seat at the Garden, so you've probably noticed the legendary director wearing an interesting pair of Cole Haan LunarGrand Wingtips while cheering on his Knicks in the playoffs. 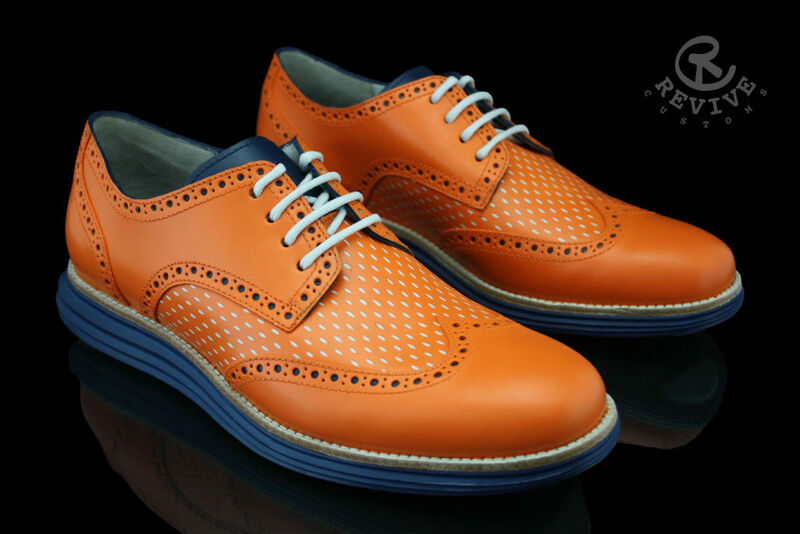 Those Wingtips are actually the work of Revive Customs, who treated the shoe to an orange Knicks-inspired makeover exclusively for Spike. 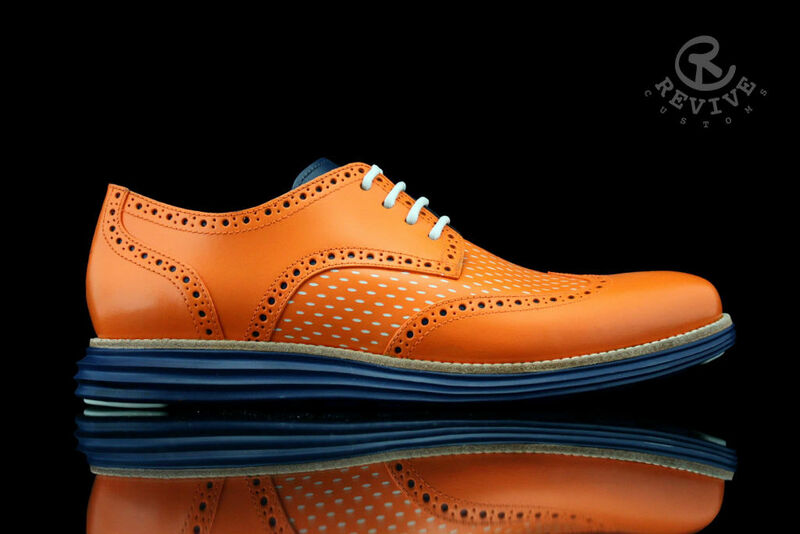 Other features include jersey-style detailing along the midfoot, white laces, an 'SL' logo on the heel, custom insoles and blue hits on the tongue and sole. 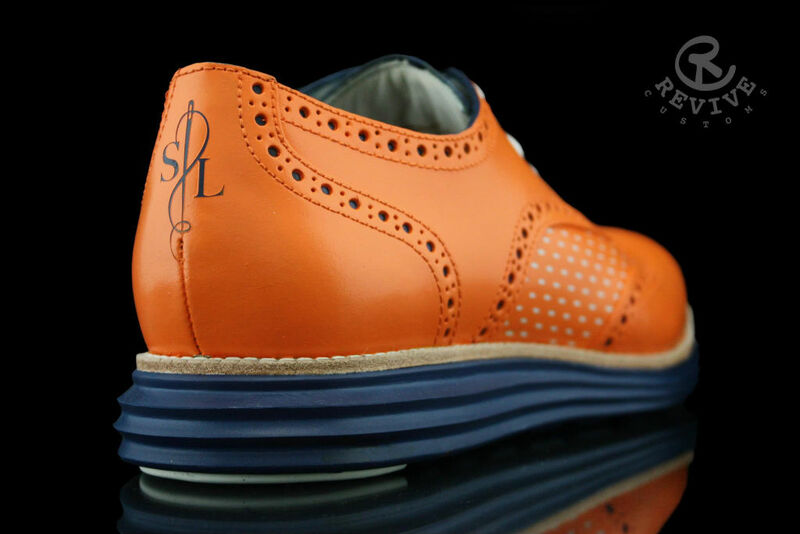 Check out a few detailed shots of Spike's latest custom LunarGrand Wingtips below.